ABV 42.7% – Volume 700 ml. / 1,750 ml. The redefinition of dry-gin from an unusual, brilliant and intrinsically Mediterranean perspective. 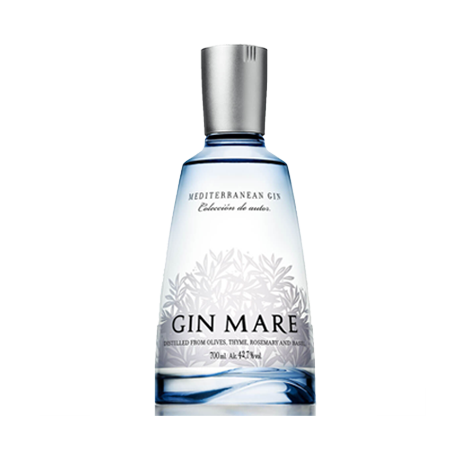 Based on the creator’s interpretation of the Mediterranean lifestyle in its purest form, Gin Mare was developed around the four iconic botanicals that best characterizes the Med: basil, thyme, rosemary and Arbequina olives.